Harry N. Abrams, 9781419723018, 24pp. Chris “Elio” Eliopoulos has worked for Disney, Nickelodeon, and Nick Jr., among other companies. He teaches illustration at Columbia University in Chicago. 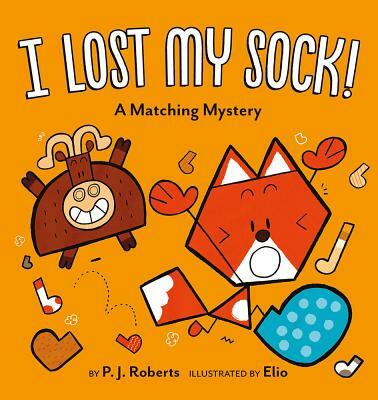 P. J. Roberts is forever losing socks, but doesn’t mind wearing polka dots with stripes. "Compassionate friendship is demonstrated by two very different yet amiable companions in this amusing scenario."